The Leadership Cayman programme, first introduced in 2009, is a six-month intensive course than develops the personal, professional and leadership skills of its class members. The programme exposes the class to different industries and elements that comprise the Cayman Islands economy, and how the community benefits from them. “I’d like to thank RBC for joining an impressive group of sponsors for this programme. Leadership Cayman is a remarkable experience for the public and private sector leaders who are accepted each year. 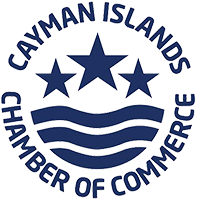 They receive an in depth understanding of how the Cayman Islands economy works and network with a talented group of people who come together to make a difference in our community,” said CEO, Wil Pineau, CCE. 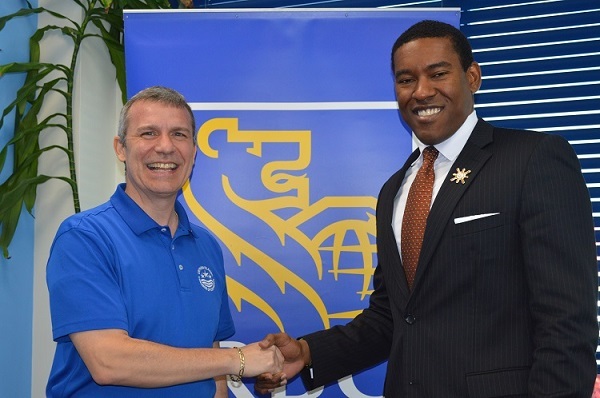 Mr. Pineau visited Omari Corbin (Country Manager for Cayman Islands & Head of Specialised Sales Force for Northern Caribbean, RBC) to personally thank him for RBC’s support. “RBC is excited to partner with Leadership Cayman as it prepares the leaders of today – and those of tomorrow – for the opportunities and challenges of the increasingly digital landscape,” said Mr. Corbin, who is a 2017 graduate of the programme. “The focus of the programme aligns neatly with our strategic evolution to be a digitally enabled relationship bank, and our commitment to empower our clients and communities to travel with us on that journey. Our investments in youth, education and community initiatives are selected so we all are prepared for, and can be successful, in changing the world we live in here in Cayman and around the globe,” he added. RBC joins Cox Lumber Ltd. as Programme Partners and join the list of corporate partners that includes Cayman First, Cayman National, Deloitte, KPMG, Logic, Netclues and Walkers. To see all news concerning the Leadership Cayman programme, visit the newly developed www.leadershipcayman.ky website.